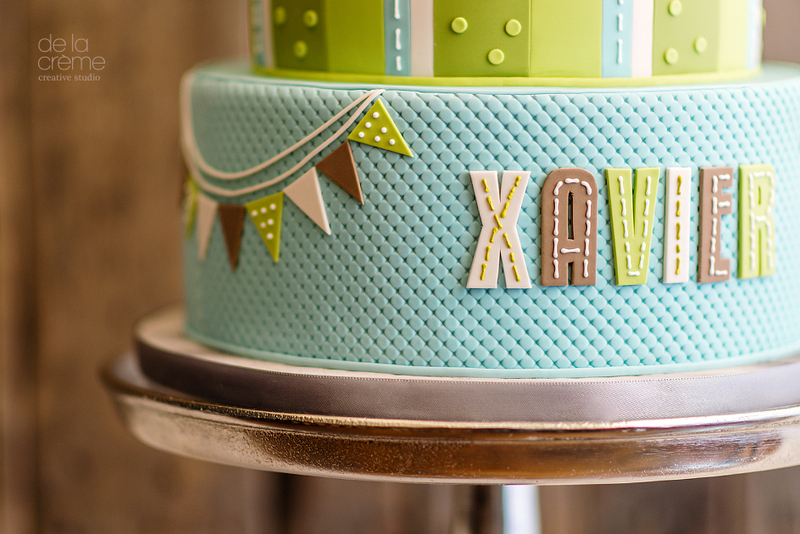 This cake was inspired by the expecting couple's monkey-themed baby shower invitations, and with a heavy focus on texture, it was sooo fun to design!! 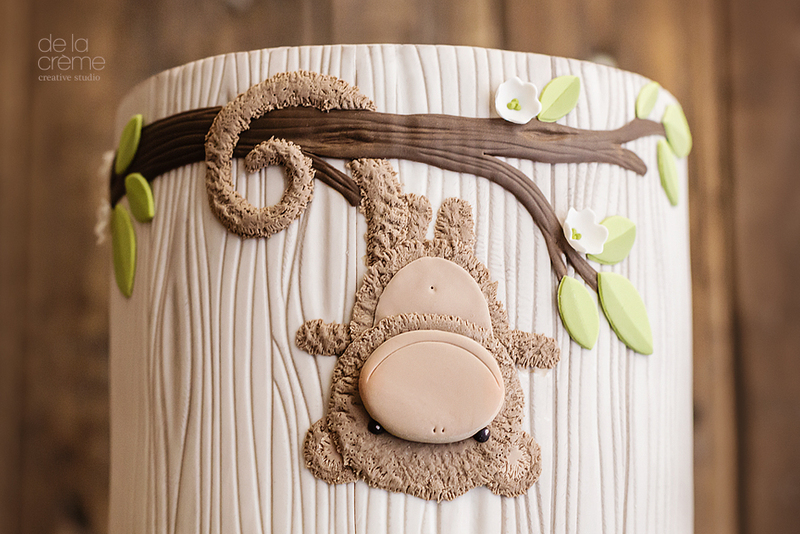 Who would have thought that a fuzzy little monkey would become the star of his own cake?! Once the cake was sliced, guests were greeted with a baby blue, white chocolate mousse filling. Congrats Joe and Courtney—what a way to welcome your new baby boy!